Back in April right after Adam finished his first year law exams, we decided to take a spontaneous mid- week vacation to Lunenburg. Being born and raised in Newfoundland, neither Adam nor I had ever been to Lunenburg, and after hearing countless Haliogonians going on about its beauty and charm, we decided to see for ourselves. On that late April Tuesday afternoon we rented a car and headed out for spontaneous adventure and some much needed relaxation! We took the long way down to Lunenburg, opting to avoid as much highway as possible, and passed through some of the awesome little towns that dot the shoreline, like Chester and Mahone Bay. We were just so excited to be in the car together, listening to music, and being tourists! When we arrived at our hotel in downtown Lunenburg, The Lunenburg Arms, we were pleasantly surprised to walk into our room, which was bright, modern, and clean. Adam and I proceeded to don the soft white hotel bathrobes, pop the champagne, and dig into the goodies that we brought from Ratinaud French Cuisine. The foie gras was to die for, as always! Even though it was raining that day, we decided to walk around town to explore and scope out a restaurant for dinner. Very unlike myself, I had decided not to do a whole lot of research about the restaurants in Lunenburg and choose something for dinner on a whim. This was actually a good call in the end, considering it was still only April and many of the fabulous restaurants that I had read about were actually still closed for the winter season. I was disappointed to see that Fleur De Sel, though open for the season, was in fact closed on Tuesdays! However, while wandering down Montague Street, one of the main drags in Lunenburg, we came upon the Salt Shaker Deli, and by looking in the windows and at the yummy looking menu, decided to go back to the hotel, dry off, and return for dinner! When we were returned around 8pm for dinner, we were greeted by lovely candlelight, a warm server, and only a few other patrons. It was lovely. Even though I usually enjoy the energetic hustle and bustle of a busy restaurant, it was nice to almost have the place to ourselves. Our server took our drink order to start and I was very excited to order a McAuslan’s Mystique Cider, which I have only found on draft in a few places around Halifax. Adam ordered a beer (both of which were very reasonably priced by the way) and we perused the menu. 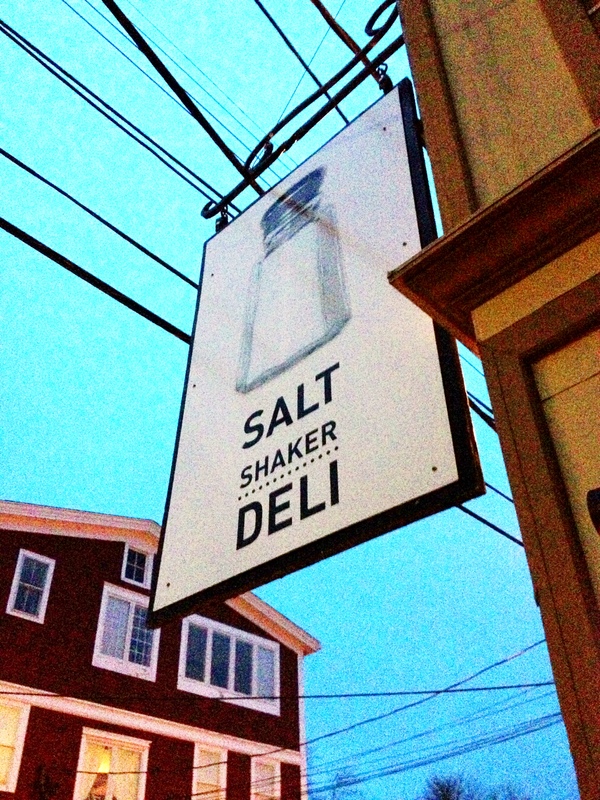 The menu at the Salt Shaker Deli is varied, ranging from deli style sandwhiches and seafood to pasta and pizza. We decided to order mussels to start with, and even with that choice came even more options, there are eight different types of mussels in fact! Adam and I settled on the Thai Coconut Curry Mussels and they arrived swiftly after the friendly server took our order. The huge plate of mussels was piled high, and came with big chunks of ginger and lime right in the bowl! 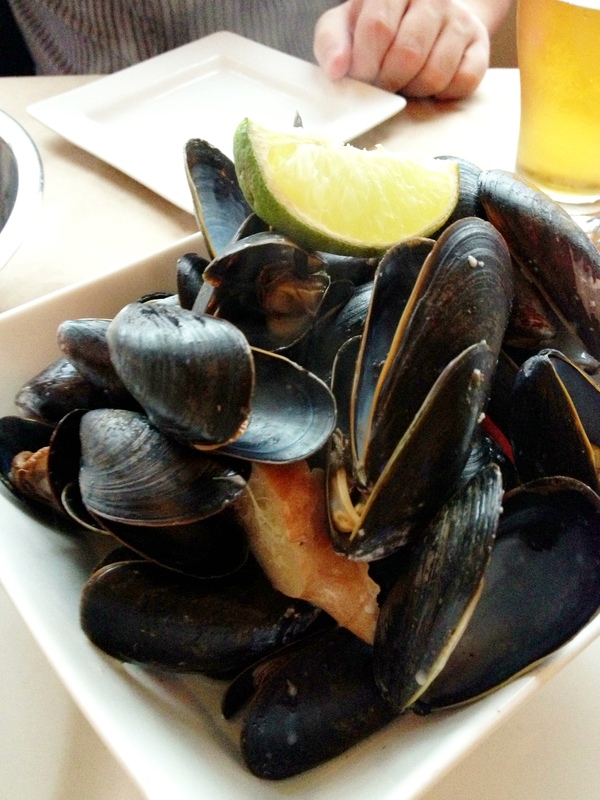 The mussels were from Indian Point near Mahone Bay and were as fresh as fresh can be; they were delicious. The flavours of the curry sauce were complex but didn’t completely take over the flavour of the mussels, and it didn’t take long for Adam and I to finish them off. YUM! For our mains, Adam decided to go with one of his favourites and order the Lobster Mac & Cheese. 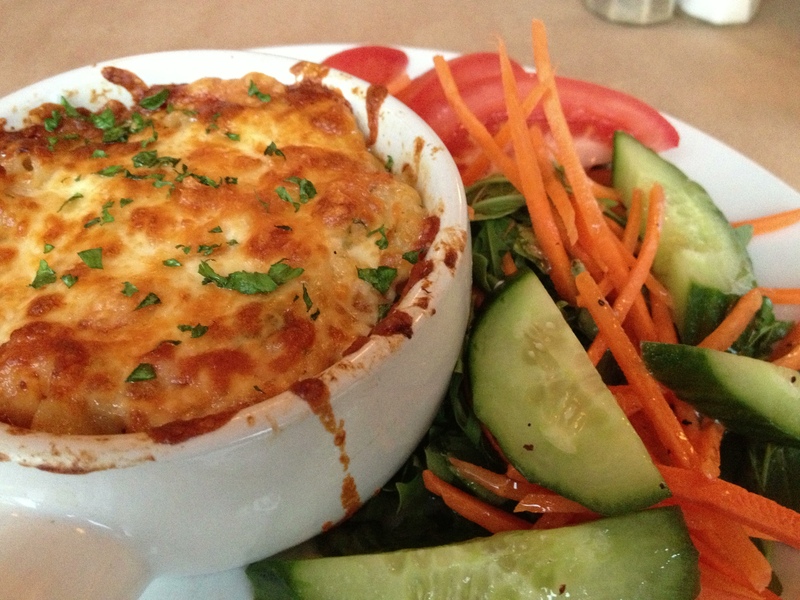 It came out in a bubbling ramekin and was served with a large side salad. Adam loved the Mac & Cheese, it was cheesy and flavourful with big chunks of lobster, but was slightly disspointed by the lackluster tomato and julienned carrots in the average side salad. My main on the other hand was deifnitely not lackluster. 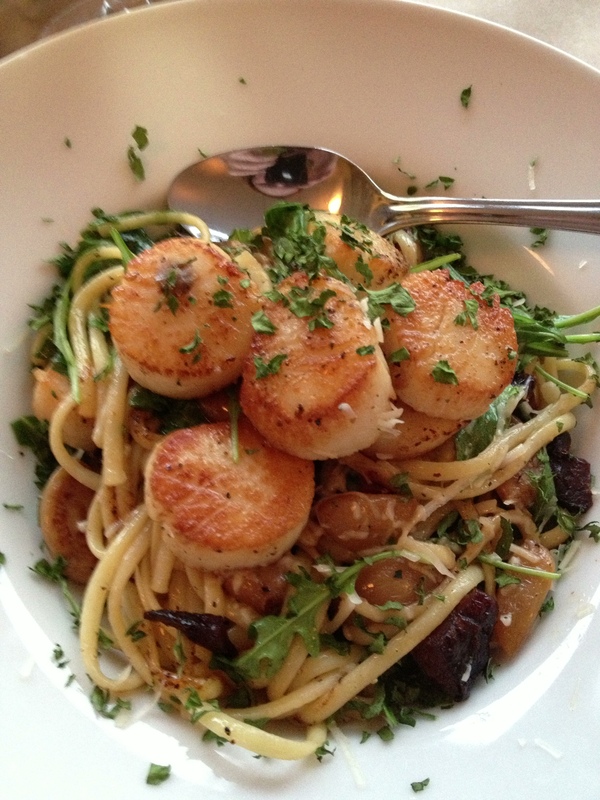 I ordered the Scallops Linguini and it was amazing! For a mere 18$ I was served a very generous plate of pasta, with like eight, count ’em, eight luscious local scallops! The scallops, from Adams and Knickle seafood in Lunenburg, were delicious and served atop a pasta of double smoked bacon, roasted garlic, arugula, and parmesan. Even though we could barely manage any more food, the server convinced us to order one of the many delicious sounding desserts. Adam and I shared the Bread Pudding and ordered a couple of espressos. 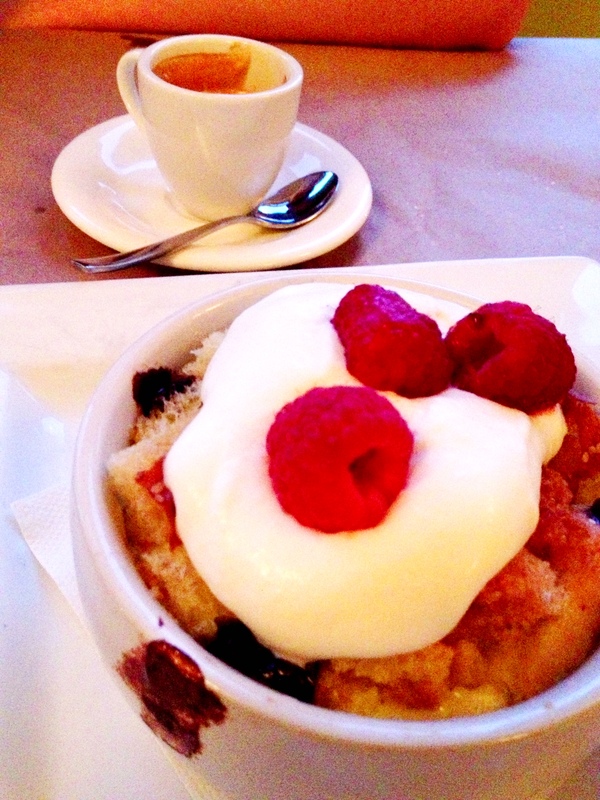 The chocolatey bread pudding was served with cream and fresh raspberries and was the perfect ending to a lovely meal. Overall the Salt Shaker Deli is a comfortable and delicious restaurant. The atmosphere is a welcoming sight to any weary traveller or seasoned local and the service was excellent. Despite some of the average accoutrement, this restaurant is a must do when visiting the Lunenburg area! After dinner, Adam and I headed over to the super awesome and super shabby chic The Knot Pub to knock back a few pints before we called it a night. The dark lighting and colourful locals make this pub an awesome place to cozy up in a booth for some drinks and late night grub. Adam and I were way too full from dinner at the Salt Shaker to have food, but the drinks kept us going late into the evening. 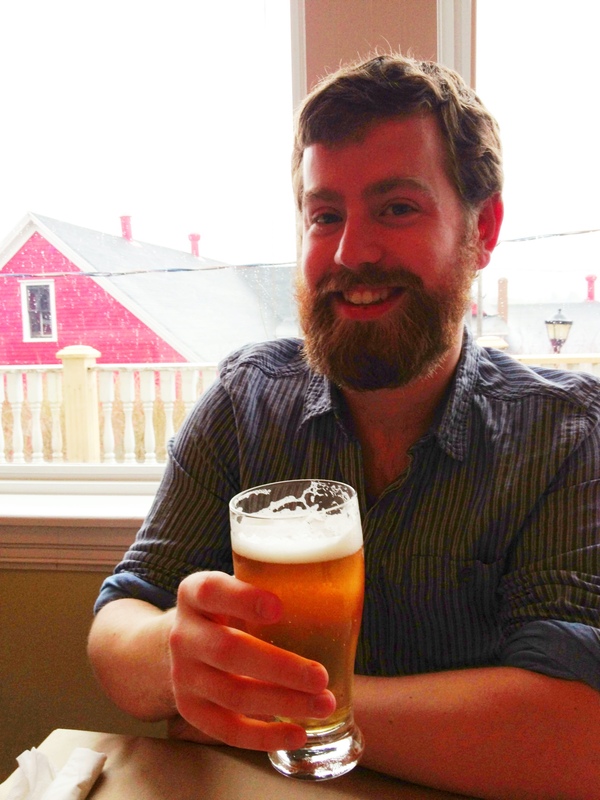 The next morning, we dragged ourselves out from between the comfy hotel rooms sheets and wandered downstairs to the continental breakfast at the Lunenburg Arms. They have recently renovated the hotel restaurant, Rissers Social House, and were about to reopen with a brand new menu in May. I would love to go back and have a taste of their new food, and if the awesome new decor and fancy looking bar were any indication of the revamp of the menu, I’m sure it would be worth the trip. We left Lunenburg the way we came upon it: relaxed, happy, and in the rain. It was great to be a tourist for a few days and have a little mid-week escape. I can’t wait to go back again this summer and experience more of the food and culture there, and I encourage anyone who hasn’t been to Explore. Eat. Repeat. their way to Lunenburg in the very near future! Bon Voyage. Cost: 100$!! An amazing cost including tax and tip for two people who had starters, mains, dessert and numerous beverages! 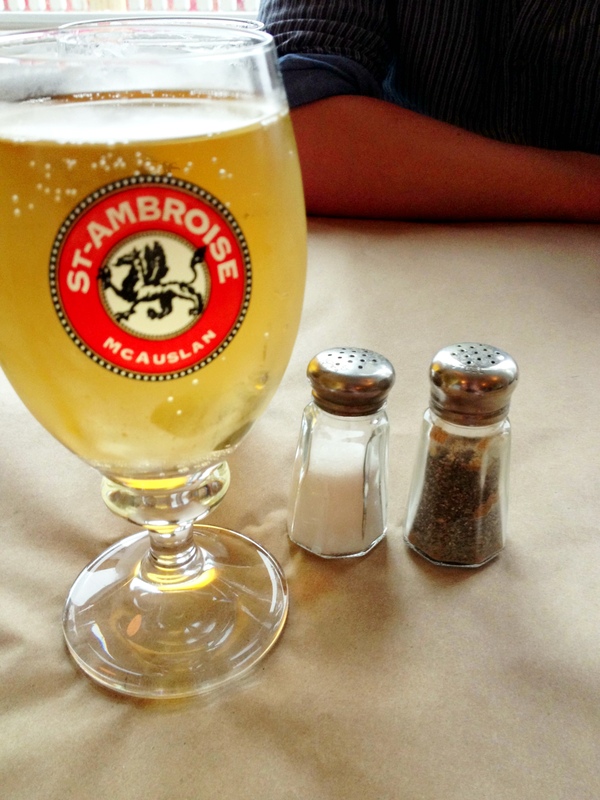 Things I liked: The checkered tablecloths, the cider on tap, and all the fresh seafood. Things I didn’t: The snotty Ontario tourists (which the poor servers dealt with awesomely) and the average salad. Best place to sit: In the window, or outside on the lovely patio that overlooks the harbour. What to order next time: Word on Pelham Street is that the sandwiches are delicious any time of the day. Yum, yum, yum. You write a beautiful blog with gorgeous pics. Thanks for the Lunenburg tips. Ah, my hometown of Lunenburg! Salt Shaker Deli is an excellent selection. 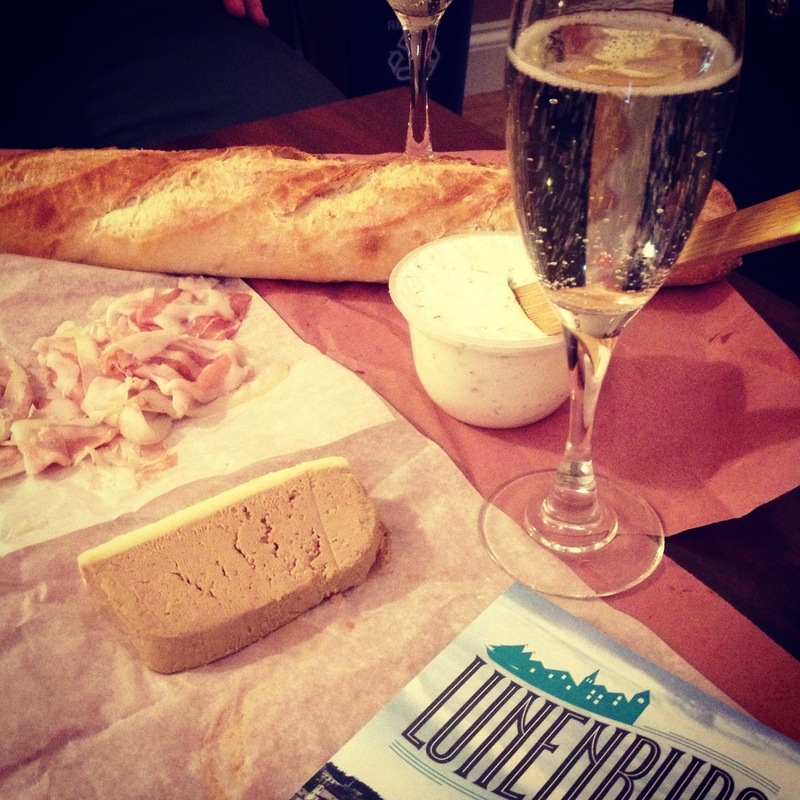 Next time you go to Lunenburg, spend more time at The Knot. It is my favourite pub in the world! Also, the Black Forest Cafe is a local gem. Haha, awesome post!! Love the photos Gabby…. the scallops look amazing! It’s been a very long time since I’ve traveled to Canada. 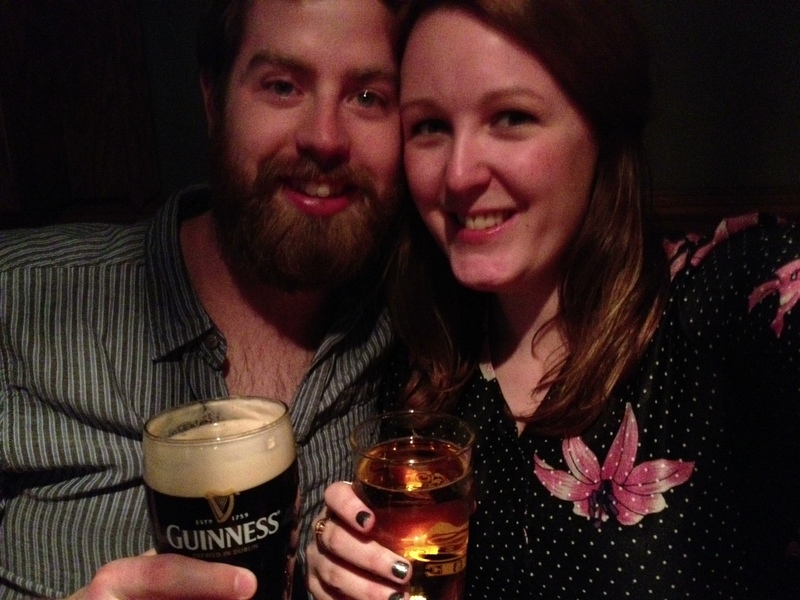 My husband and I are hoping to travel next year so I’m bookmarking some places to see from your blog for the future! 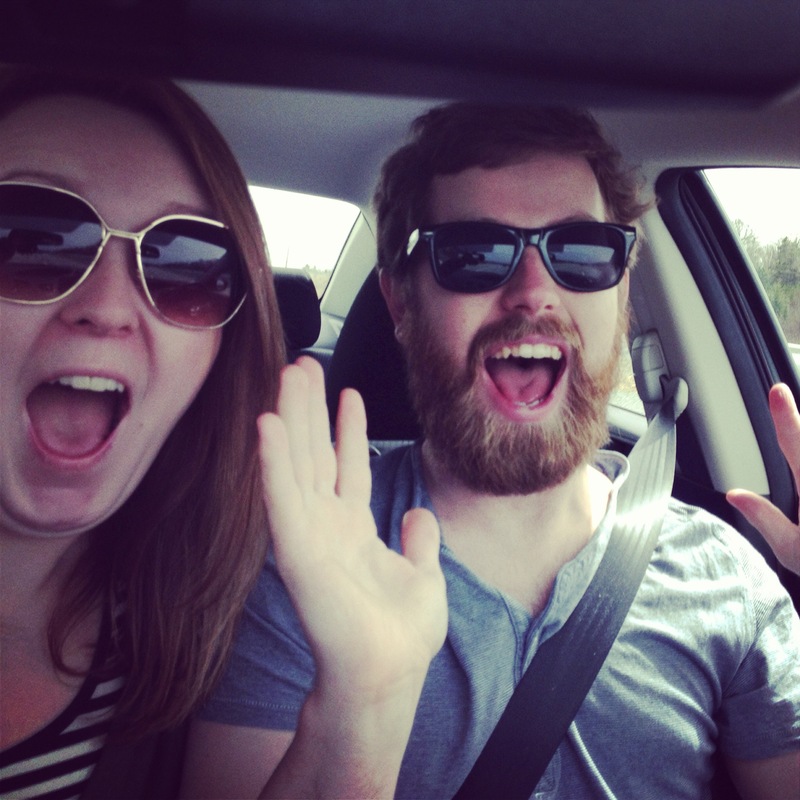 Thanks so much for sharing your road trip with us!